Eye is the most delicate and precious organ of the human body. All human become able to see this beautiful colorful world. Can you imagine that how blind people are seeing this world without those precious organs of the body. Every human should take care of these delicate organs of the body. If you want to know more about this organs then lets talk about its structure. It is made with the very small parts like Iris, Pupil, Lens, Sciera, This organ of the human body can detect light and with the help of this phenomena we can see the world. 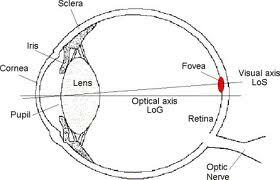 Eye is the complex optical system that collects light from the nearby environment diaphragm is used to regulate the intensity of the light. After this work of lenses is start it helps to form an image. This image signals with the helps of biological neurons send signals to the mind that something is there and it converts it into some recognized form that is already feed into the human brain. Here are some important tips to remember for the proper eye care . Clean your eye every time when you wash your face. Women’s specially who love make-up should remove their makeup before going to sleep.